Friday Favorite Five Things WOO HOO! It's a weekend! And for us - it's a FUN ONE! Some of our great friends are on their way for a visit and we're sure looking forward to it! In the meantime, we've been cleaning and preparing for their arrival and just enjoying the week. #1 - Giveaways. WAIT! I know that sounds kinda silly but it's actually a huge blessing (in my opinion) and a sign of generosity when a publisher works with the "common man" to provide freebies. For those on tight budgets and going through hard times, a contest can be a really fun thing to win. 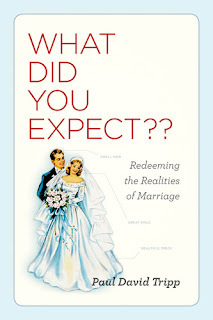 My FAVORITE giveaway this week is a book on marriage that I think is out-of-this-world AMAZING! If you missed it, check out my review of What Did You Expect?? I have two copies to give away so don't miss the chance. It's a book worth owning, and that's the truth! 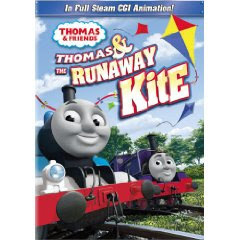 My second favorite (and Bookworm1's favorite) is the new Thomas movie which I reviewed and we're giving away over at 5 Minutes for Books. #3 - My truly magnificent husband. He reads with me, he talks with me, he figures life out with me and he never makes me feel stupid (which is incredible because I really am stupid in so many ways!) He doesn't walk away from me during the hard times. Instead he seeks me out. And I'm NOT easy to seek out during the hard times. I like bubbles. Put me in one and leave me alone! But I can't do that forever and Jonathan reminds me of that. I was listening to some Steven Curtis Chapman songs (I will pause for a moment while you feign surprise over my music choice) and came across this one again and I let it pump through my heart a few times after a particularly poignant conversation. #4 - My hilarious first born. Bookworm1 is developing quite the sense of humor these days and more and more often I find that it's harder to keep a straight face when talking to him. He makes us laugh so very often! #5 - My adorable second born who throws himself on top of us, begging to be held. He just wants to know that we're near. I'm also grateful for the song Eensy Weensy Spider because it never fails to produce a smile and a laugh when one is needed! Have you never Youtubed this song? (What? You haven't?! Well then!) I would never dream of showing Bookworm2 this video because it freaks ME out! You'll notice that the video has a lot of views but I don't think it's because people actually want to learn the hand motions. You'll thank me -- later. Much, much later maybe. In the meantime - hope you have a FABULOUS weekend! Have a fun time with friends! That's neat about the vacation! And what a sweet tribute to your husband and boys. Why does the second video freak you out? He's just weird. =) Overly dramatic towards toddlers. Oh I love planning vacations, too. Blessings on yours. How great to enjoy your husband and kids. Have a wonderful weekend Carrie! Glad you have a fun weekend ahead! I keep hearing good things about “What Did You Expect”…I’ll have to wander on over to your give-away. And you have a great vacation coming up? Good for you! You make me grin, and I needed the Bring it On reminder! Thanks! Great song from SCC. Another one to add to my iPhone. As always, I never seem to leave your site without a great recommendation for a book or a song. Hmm... I forgot when my kids were little to be thankful for Eensy Weensy Spider, but they loved it too! What a blessing to have a vacation come your way! Great tribute to your hubby and kids. Having good friends visit is so fun! Enjoy every minute with yours! Eensy weensy spider is is constantly in the request list around here. I LOVE to plan vacations! I hope yours in wonderful! Oh, I know the anticipation that comes with planning a trip! My hubby just booked my flight to go see the New Boy. Have a great weekend in MY OLD HOME STATE OF OREGON! Its great to have a supportive husband. Oh, an unplanned family trip dropped in your lap -- what a blessing! And those wonderful husbands. Aren't they the best? Great list! So much to be thankful for...love the tribute to your hubby. I enjoyed the spider video...LOL.. even though my hubby wondered what on earth I was listening to! Have a good visit and a wonderful holiday! The eensy weensy spider... a complete classic! Love it. It sounds like you're married to the best man in the whole world! Good for you (and him!) I love to hear about people who are happily married. Have a great weekend with your friends. I enjoyed your FFF. An unexpected vacation? Woohoo! I loved #3, but I don't think you're stupid? Don't think too less of yourself! That's great about your vacation! I so need one, but don't see one in the forseable future. A good husband is a great thing! I'm glad you are blessed. Have a great week!